Upgrade your account for Chore Check Prepaid Mastercards® and money-smart kids! A Chore Check Pay membership gives you and your family even more useful features. For just $9 per month, your family's membership helps you manage chores AND adds key components to help teach kids important early money management skills. Kids learn to use virtual (plastic) money on a Chore Check Prepaid Mastercard®. Try Chore Check Pay for the first month at no cost. After that, membership costs $9 per month for your whole family, Chore Check Pay gives you the ability to pay your kids electronically. Kids can then receive and use funds earned in their SPEND, SAVE, or GIVE categories. Compare the features of the free version of Chore Check to the options available with Chore Check Pay. Try Chore Check Pay For A Month At No Cost! 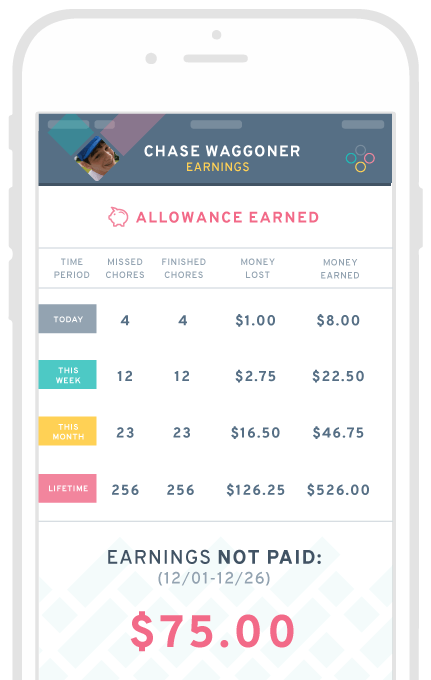 Get started with Chore Check Pay right away and see how it works for your family. As part of your Chore Check Pay family membership, you can request a Chore Check Prepaid Mastercard® for up to three children. Once your child has completed and approved chores, you can pay for their jobs well done by moving funds to the child’s Chore Check Mastercard®. You can monitor all of the activity on the cards, check balances, purchases, funds added, and temporarily disable any Chore Check Mastercard® if misplaced. Set up your Chore Check Pay membership today and start your kids on the road to smart money management! Enrollment in Chore Check Pay is required to request the Chore Check Mastercard®. Terms, conditions, and fees may apply. Refer to the fee schedule for detailed information. The Chore Check Prepaid Mastercard® is issued by Sunrise Banks N.A., Member FDIC, pursuant to a license from Mastercard International Incorporated. Mastercard is a registered trademark, and the circles design is a trademark of Mastercard International Incorporated. Use of this card constitutes acceptance of the terms and conditions stated in the Cardholder Agreement.